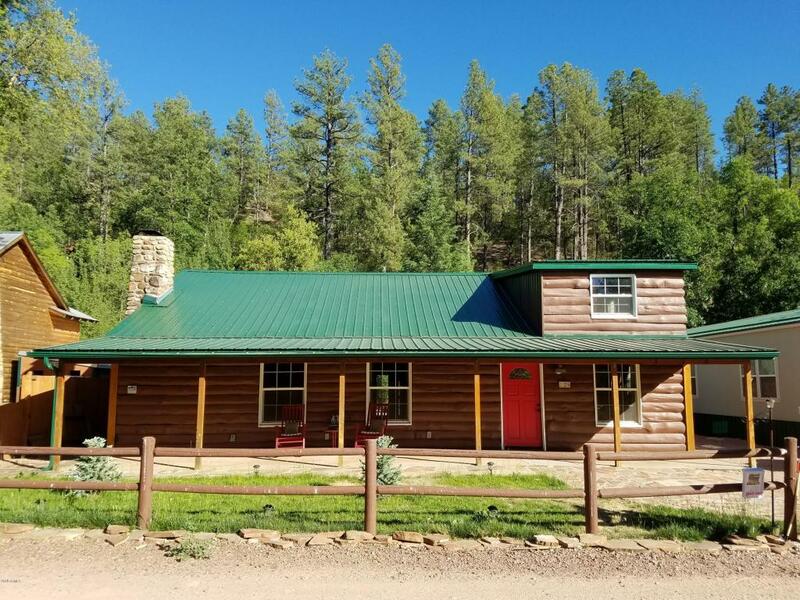 Time stands still at this beautiful 3 bed 2 bath with a large loft cabin retreat. 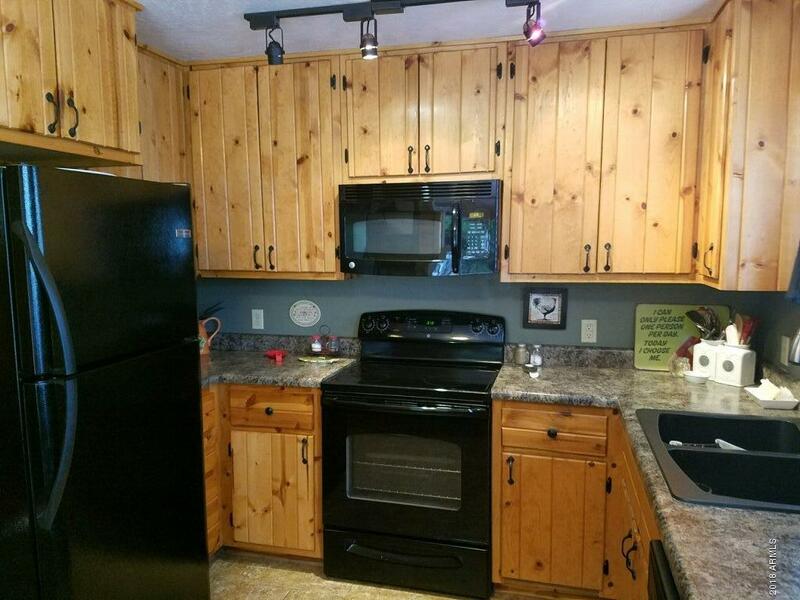 This cabin has so many upgrades that includes: new pine interior, updated kitchen that includes all appliances, remodeled bathrooms, new dual pane windows, new lifetime metal roof, new A/C with a new programmable thermostat that can control the temperature remotely, newly painted & landscaped and an extended covered patio in both the front and in the backyard to enjoy the sunrise & sunset. Sit back and listen to the birds & enjoy the fire pit with friends under the Arizona stars. 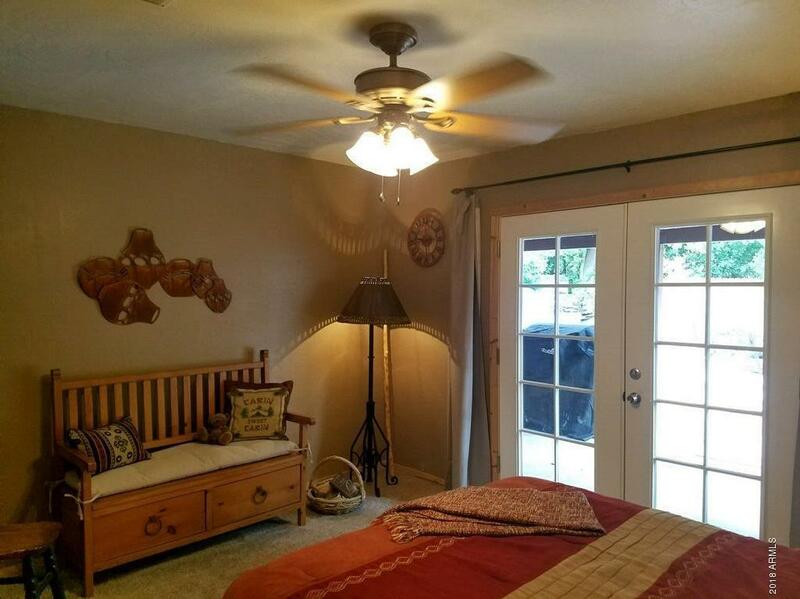 This retreat is ready for you to come in & enjoy! 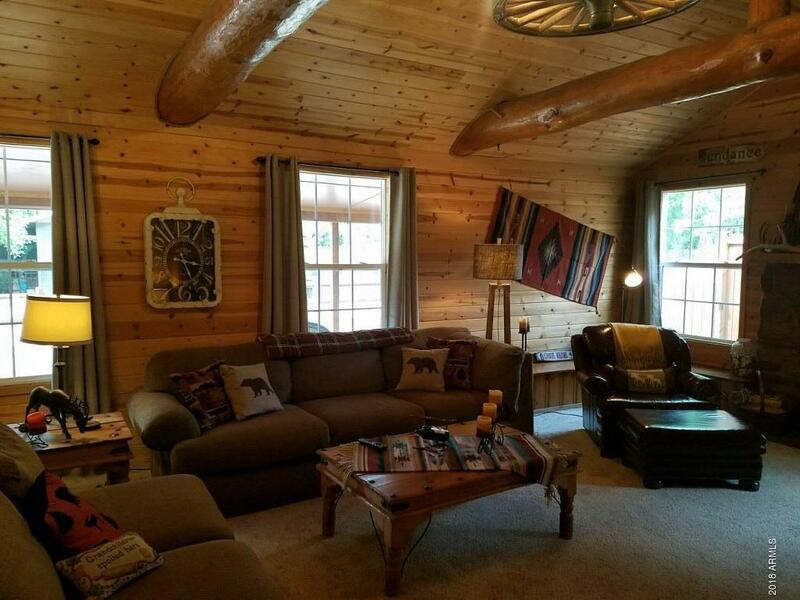 The cabin is in walking distance to the creek & restaurant. There is an additional 25 x 100 lot for additional parking across the street that is included in the sale. Come & Relax!